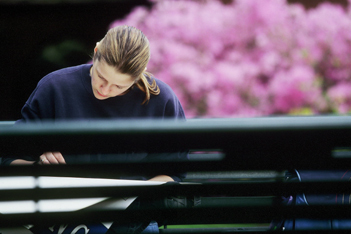 Puget Sound offers graduate programs in Education, Occupational Therapy, and Physical Therapy. The Master of Arts in Teaching (M.A.T.) degree offers professional preparation in teaching to students who hold baccalaureate degrees in the arts or sciences. Students completing the program will meet all requirements for Washington state teacher certification. The Master of Education Degree (M.Ed.) in Counseling is designed for those wishing to enter the counseling profession in one or more settings. The school-counseling track leads to the K-12 certificate in Washington State. Coursework in the mental health counseling track can be used to pursue licensure as a mental health counselor in Washington state. The Master of Science in Occupational Therapy (M.S.O.T.) emphasizes research. Students in the M.S.O.T. program must complete a three-course sequence in research methods and a research project of publishable quality. The Post-professional Doctor of Occupational Therapy (Dr.O.T.) program is designed to fit all levels of experience, whether you are a new entry-level occupational therapist or a seasoned one. The twelve month curriculum is designed to be student-centered and to support students’ development of advanced practice skills that support their career goals. To that end, students in the program are required to articulate an area of concentration and related learning outcomes that will guide them in developing a doctoral thesis project, shaping course assignments, and selecting authentic learning experiences. Students will enter the Dr.O.T. program with a range of professional experience and interests, which will enhance the learning of all. The mission of the Physical Therapy Program at the University of Puget Sound is to prepare students at the clinical doctoral level for entry into the physical therapy profession. Our presence on a liberal arts campus underscores our belief that the development of clinician scholars is a natural extension of the values of critical analysis, sound judgment, active inquiry, community participation, and apt expression. The curriculum is designed to teach the evaluation and intervention skills that are unique to the practice of physical therapy. Students also learn to identify professional boundaries, gain an appreciation of coalition building with other health care providers in order to optimize patient care, and become discerning consumers of the professional literature. Similarly, students develop the capacity for autonomous decision-making in preparation for a professional environment in which information is continually evolving. All courses provide opportunities to develop articulate written and oral communication skills. Through a careful blending of rigorous academic work and mentored clinical practice, our program seeks to prepare clinician scholars for informed, ethical, and efficacious practice.